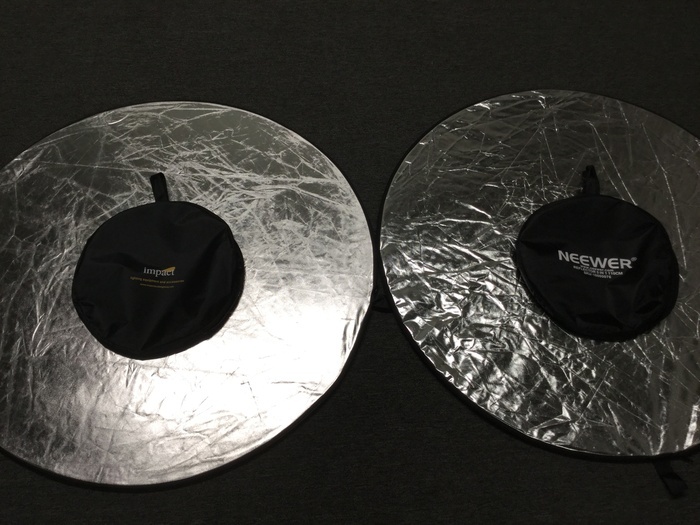 There are a few pieces of gear I think every photographer should own, and near the top of that list is a 5-in-1 reflector. Today only, you can get one (or a few extras) for half off. 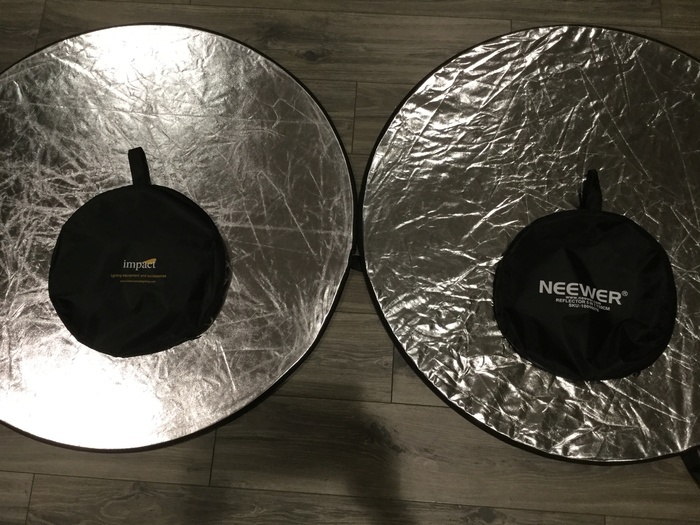 The reason I think every photographer should own a 5-in-1 reflector is because they're so cheap and versatile, and they're useful whether you're just starting to learn about lighting or you're a seasoned pro. 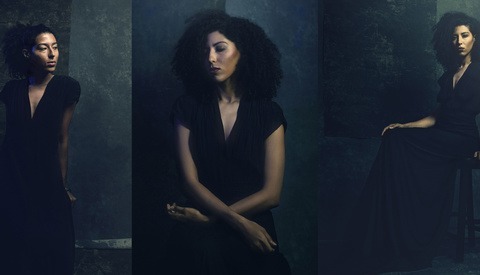 They can be used with natural light to fill in some shadows or warm up the color temperature or in a clamshell configuration with a studio light overhead. 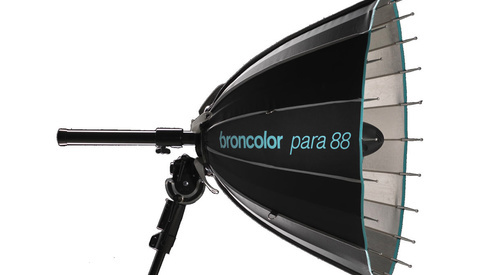 My personal favorite use is unzipping and removing the reflector panel, then attaching the translucent core to a light stand to provide a soft, diffuse light, even in harsh midday sun. It allows me to shoot portraits and headshots basically whenever with minimal equipment, and it provides a nice catchlight. Whatever your personal use, though, you should always have at least one of these lying around, and today, you can get this 42-inch 5-in-1 reflector for just $24.95, half its normal price. From my experience you are better off to get the double sided ones, cheaper and no chance of the oversea manufactured zipper blowing out on you. Then you lose out on the ability to have a portable scrim wherever you go. I've had the same two reflectors for 8 years and the zippers are just fine, plus I enjoy having the ability to soften light. Or get a Neewer on Amazon for $17. But you can get this for half off!!! Think of the savings. I grabbed one with some add ons from MagMod. For creating an even lit headshot, you only need one octabox and add 2 or 3 white reflectors in a triangle or square shape to bounce/ add fill on the far side. 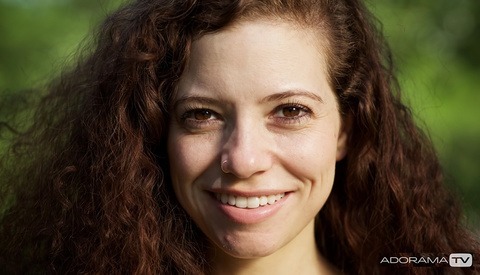 you now have a great catchlight and lighting that women really dig with very little equipment. Good catch! Perhaps the real reason you think "every photographer should own a 5-in-1 reflector" is because then they'll click those undisclosed affiliate links to B&H. That's nice and compact, and for $25 isn't a bad deal. Sometime back I bought 48 x 72 Fotodiox set. It's a larger package than this that I purchased, but they also come in round 36- and 42-inch sets. A whole bunch of different sizes, actually. I don’t even shoot portraits and I have one. It just seemed like a must have item. 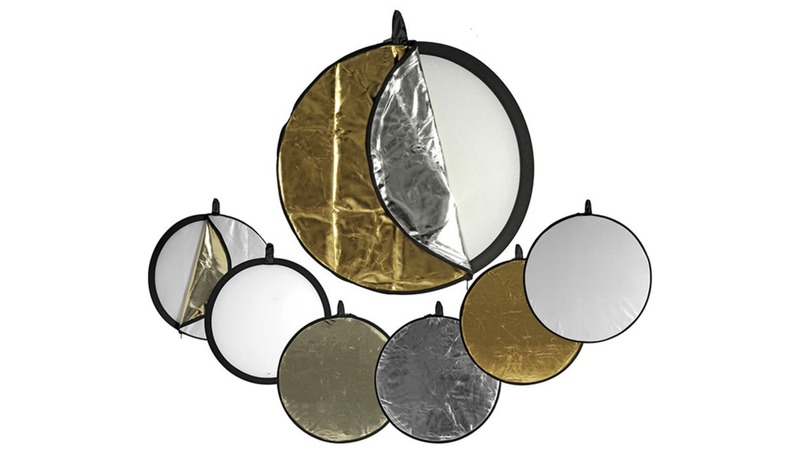 ARE U KIDDIN' $49.95 for a 5 in 1 reflector??!!! Kinda a wish I took advantage of this deal. We use these at work. However, I did purchase the Neewer 43" and will be coming in the mail tomorrow. It will be interesting to compare material and quality! UPDATE: My Neewer came it over the weekend. It worked great for it's first photo shoot. I compared the Impact side by side. The quality and build are very close. The Neewer had slightly sloppy thread work where you slip the loop through. Material felt the same on both. The big difference is the Impact has a softer silver side than the Neewer. I prefer the softer silver. But they both do the job! Time will tell which will last longer. Cheers and happy shooting!